Remember how last year people thought “Deadpool” could make it into the Best Picture lineup? Now it's “Wonder Woman's” turn at Oscar hype. But it ain't happening. Maybe in a weaker year, but this is an extremely strong year potential nominees so it'll have to settle for its PGA nomination. 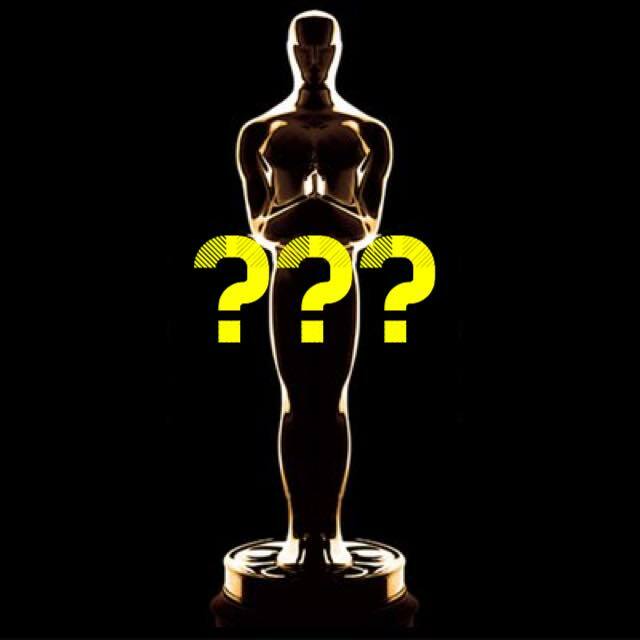 The biggest question is always how many nominees. Last year there were 9 and there will definitely be 8 or 9, maybe even 10, this year which would be the first time 10 films have been nominated since the Academy changed to a range of 5-10 nominees in 2011 (I know, it's confusing). The first five listed below are what I think would be nominated if there were only five nominees like in the old days. I'd say the first seven films listed are pretty much sure things at this point, down the list things get fuzzy. Look for "The Shape of Water" to likely rack up the most nominations. I'm really curious, as most people are, how well "Get Out" will do. It's a great genre film that would be an odd choice for the Academy, especially since it came out nearly a year ago, but then again "The Silence of the Lambs" came out in February and we know how that went. I feel pretty confident in this list. These five reflect the DGA nominations and it's really rare for them to line up perfectly with Oscar. The last time that happened was in 2009 but it's not unheard of. Having said that, sometimes the Academy likes to go for the smaller, intimate films. That's how surprises happen like “Room” and “Beasts of the Southern Wild.” Those two films are key actually because they both featured small children in lead rolls and that's exactly how something like “The Florida Project” could surprise us all. The problem is, if Sean Baker does get in, who does he replace? Whoever it is, it would certainly be a shocking snub. Let's not think about that. Speaking of which, let's talk Christopher Nolan. He was shockingly left out in this category for “Inception” AND “The Dark Knight.” Is there any way he gets left out again? Unfortunately I feel like it's POSSIBLE but anything can happen in this category. Another year, another likely snub for Jake Gyllenhaal. What does this guy have to do to get another freaking nomination? And this is generally somewhat of a rare weak year for lead actors. I feel pretty confident with these five, especially considering how much the Academy has snubbed Tom Hanks in the past few years. At this point I'd say if any of these guys miss here it would be a surprise. Last year was a particularly strong year for lead actresses and this year may even be more so. (Though I'm still reeling from that Amy Adams snub). In any other year these five ladies could WIN an Oscar for their respective roles. Oddly enough, Ms. Streep feels like the most vulnerable only because “The Post” doesn't seem to be doing as well in the precursor awards as many though it would. She was snubbed by SAG and BAFTA but we all know how much the Actors' Branch loves Meryl. Speaking of which, fun fact: if Meryl is nominated and if The Post is nominated for Best Picture it would be the first time since Out of Africa (over 30 years ago) that Meryl was nominated in a Best Picture contender. Meryl is usually a lone cube nominee but perhaps not this year. The supporting categories this year are much more difficult to predice with both categories easily having 7 or 8 potential nominees (and some films having several candidates). This category hasn't had double nominees since 1991's “Bugsy.” Call Me by Your Name could have 2 nominees, but more likely, Three Billboards could have two. Armie Hammer had seemed like a sure thing for quite some time but it seems like his film Call Me by Your Name has cooled off a tad in the awards leading up to the Oscars. He didn't get a SAG nod nor a BAFTA nod. I think part of that could be the fact that he's really the co-lead of the film and category confusion is hurting him, which is why I'm going with his co-star Michael Stuhlbarg who's powerful monolgoue towards the film's ending who's the real definition of a supporting actor. Three Billboards is more likely two carry 2 nominees in frontrunner Sam Rockwell and Woody Harrelson who is the vulnerable one. Because Harrelson is such a powerful and enjoyable presence in the film and his absence in the later part of the film is strongly felt like Mahershala Ali was in last year's “Moonlight.” The real guarantee here is Willem Dafoe who's frontrunner status is being disrupted by the charming Sam Rockwell. And I still don't buy the Christopher Plummer thing. Octavia Spencer has been on a roll in this category since winning her first Oscar for “The Help” in 2012. I'm sure she'll show up again here for “The Shape of Water.” Though I'd say there are only two real locks here, TV veterans Laurie Metcalf and Allison Janney in a battle of the mothers. Then things get sort of foggy. I'd say Holly Hunter is another likely nominee for her heartfelt turn in “The Big Sick” (Seriously what's with all the moms in this freaking category?). The final slot seems to be a battle between musician Mary J. Blige for the Netflix film “Mudbound” but I'm gonna go with the supposed scene stealer of “Downsizing” Hong Chau because the Academy has given a luke warm reception to Netflix films. Idris Elba couldn't get a nomination for “Beasts of No Nation” even though he won SAG and the was nominated for Best Cast. This is a pretty weak year for Adapted Screenplays and it's mostly because most of the Best Picture candidates from from original material. Therefore “Call Me by Your Name” seems to be the real lock (and potential frontrunner) as is “The Disaster Artist,” and everything else will just be happy to be nominated. Now this is a real race. But unfortunately there will be some shocking snubs since this category is packed with Best Picture hopefuls. In any other year The Big Sick, I Tonya, and The Post would be locks for a nomination. But there's no way Get Out, Three Billboards, and Lady Bird are not getting nominated here. The Shape of Water isn't quite as much of a lock, as the film isn't necessarily considered to be a great feat of writing, but as a potential Best Picture WINNER it's very likely to make it in. “The Big Sick” seems the most vulnerable since it feels the most “lighthearted” of the possible nominees. I have my eye on this category. It should be noted that if “Mudbound” got nominated here it would be the first nomination EVER in this category for a woman. I'm going out on a limb for Ed Lachman's lensing of Todd Haynes' little-seen child fable “Wonderstruck” which plays with various film stocks; this branch can't get enough of that. As I say every year, this is one of my favorite categories and somewhat tough to predict (as is Best Song). Newcomers rarely show up here which is why your Thomas Newmans and John Williamses show up constantly. If your music has a foreign sounding flair to it certainly helps, which bodes well for “Victoria & Abdul” which is why I'm going out on a limb for Thomas Newman who was a surprise nominee last year for the critically-maligned “Passengers.” Newcomer Jonny Greenwood is the likely new nominee in a category that will probably be rounded out by veteran composers and former winners. The Best Song category is notoriously difficult to predict. There are always a couple locks and then start throwing darts after that. It must be noted that since the Music Branch changed the way they nominee the songs (by viewing clips of the films in which the songs appear) it's pretty rare for songs that only appear in the end credits to show up here the way they used to in the past. Therefore I'm going with both Sufjan Steven songs from “Call Me by Your Name.” “This is Me” and “Remember Me” seem like solid Academy friendly choices. Other than those who really knows? 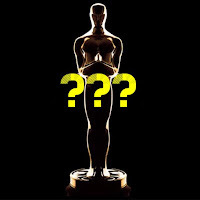 The the potential nominees in this category have already been narrowed down to a shortlist of ten films which technically makes this one of the easiest categories to predict. But not so fast. Sometimes the Visual Effects branch likes to throw some curve balls. 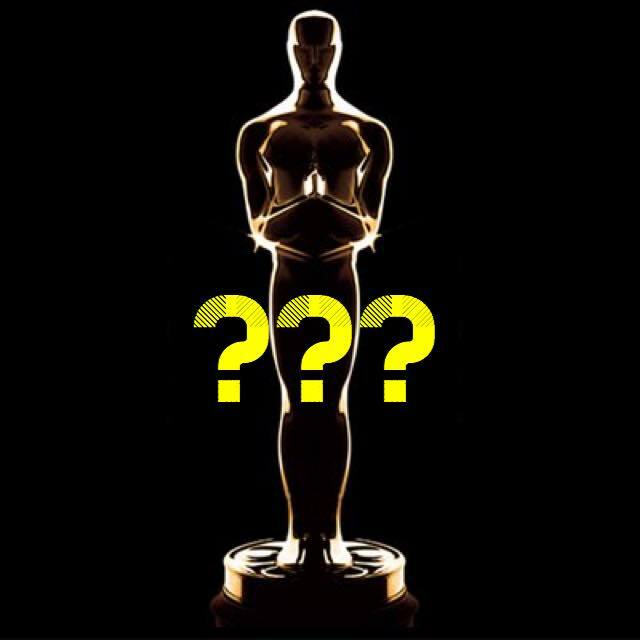 Nominees are determined after clips from the short-listed films are screened for Academy members followed by Q&As. There's a lot at play here based on what order they films screen in and how entertaining the presentations are. Since Netflix film “Okja” played rather well to the crowd I’m going with it over “Dunkirk” which featured more practical effects (a good thing) but reported received a mild reception after the presentation. Oh, and they also presented first. I predict there will be a few headscratchers in this category as the Animation Branch is notorious for their snubbing of more popular fare. They prefer hand-drawn animation to computer animation, etc. If “The LEGO Movie” couldn't get in there's no reason to think “The LEGO Batman Movie,” a film that's just as entertaining, but much fluffier, would be any different.